We are a Community group Singing for the Love of Music. Come Join Us and Join the Fun! We are a Community Chorus. If you enjoy singing and want to share your talent with other like minded folks, feel free to check us out. You do not need to be a resident of Pickerington to join this group. This group includes people from several communities in the metro area of Columbus. 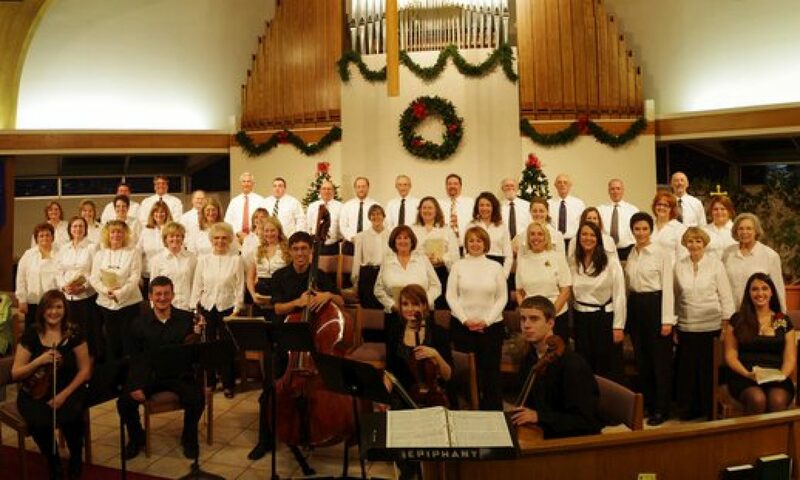 In February of 2007, the Pickerington Parks and Recreation Division began meetings to organize a community singing group. At the first organizational meeting, we were introduced to Director Emily Fisher and many things were discussed. Director Fisher scheduled dates and times for auditions, and the chorus was officially under way. In the spring of 2009 Lisa Boyer took over the leadership of the Chorus and has continued to expand the group and its horizons. Our community participation and performances have continued to grow. Since that first year, we have performed at the Violet Township Bicentennial Celebration, Pickerington Lion’s Club Celebration, Pickerington Community Thanksgiving Program, Pickerington Community Christmas Celebration, Caroling in the Square, Pickerington Nursing & Rehab. Center, Amber Park Assisted Living, Children’s Hospital, Pickerington Alumni Association, a presentation with the Satellite Division of the Columbus Children’s Choir, and a fund raiser in association with Barnes and Noble. We meet in the Fall and work towards a Holiday concert, and again in the Spring to perform for various funtions as described above. Look to our Events page for information on rehearsal times and locations. If you love to sing, come join us, and keep checking our “Events” Page for our next performances. If you would like to contact us for more information, you may send an email to: info@pickeringtoncommunitychorus.com . Or, use the message form on our Contact Page.